Nestled deep in the heart of the Apuseni Mountains, hidden behind vibrant forests and imposing stone walls, Bears’ Cave is one of the most visited attractions in Romania. Taking its name from the ancient cave bear fossils found inside, the cave gives visitors a trip into the depths of pre-history. Bears’ Cave, located in Chișcău, Bihor County, was discovered by accident on September 17, 1975, when local miners dynamited an unassuming marble wall. One of the miners, Traian Curta, was the first man to set foot in the newly discovered cave. He was able to explore the galleries up to the Great Hall, which had previously laid undisturbed for eons. 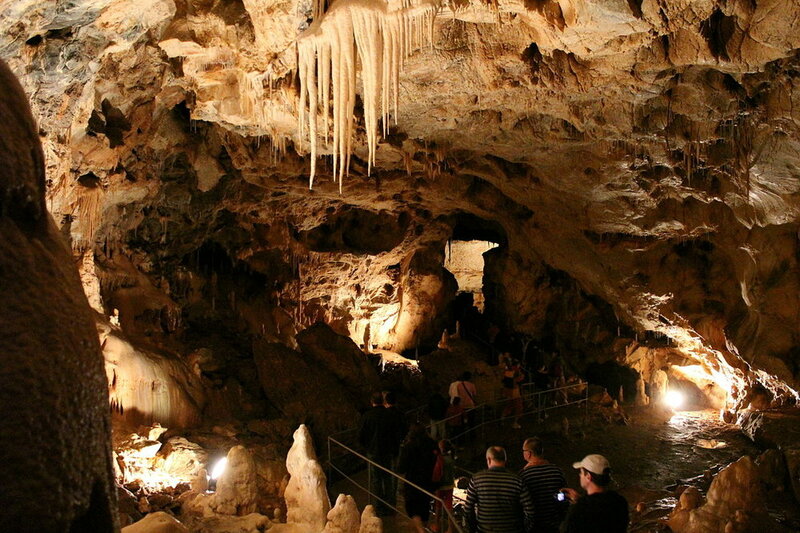 Over the next five years, the cave was mapped and equipped with lighting fixtures and walkways, allowing tourists to visit it without disturbing the environment. The total length of Bears’ Cave is 1.5 kilometers, of which 521 meters are protected as a scientific reserve. Known all over the world, this natural wonder features three main galleries and four halls. The galleries are suggestively named according to the attractions that can be seen inside: the Bears’ Gallery, Emil Racoviță Gallery (named after the Romanian scientist and cave explorer), and the Scientific Gallery. Bears’ Cave is unique in Romania and Europe, thanks to the stunning beauty of its rock formations, as well as the fossilized remains of long-extinct cave bears. Five complete cave bear skeletons were discovered in the Bears’ Gallery in 1984. Gone extinct approximately 100,000 years ago, cave bears (Ursus Spelaeus) were quite different from present-day bear species, weighing up to a ton and standing a terrifying four meters tall when standing on their hind paws. It’s safe to say you wouldn’t want to bump into one of these beasts when trying to find shelter in a cave. The Emil Racoviță Gallery is the longest of the cave. At the end of this gallery, after a breathtaking 30-meter-deep pit, is the Scientific Gallery. Access to the Scientific Gallery is only permitted to experienced cavers. One of the most fascinating sections of Bears’ Cave is the Hall of Candles. 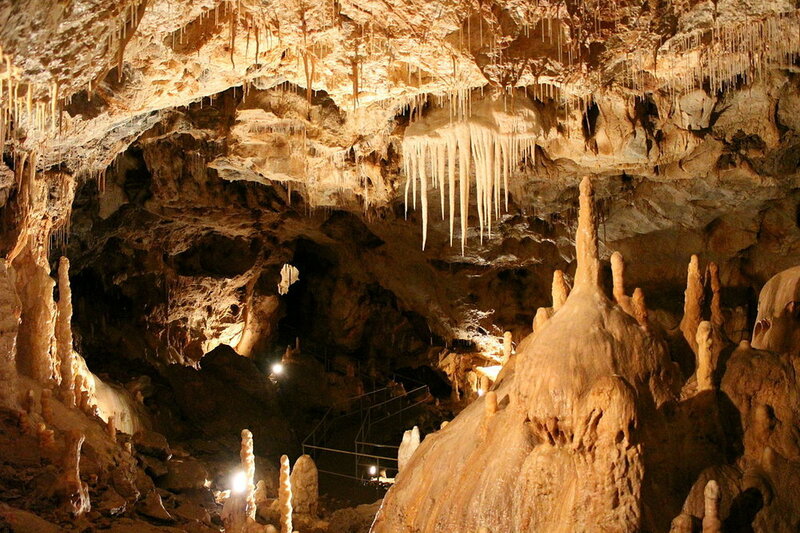 As the name suggests, visitors can walk here through a natural cathedral adorned with stalactites and stalagmites that look a lot like enormous candles. Some of the most striking formations have received their own names that evoke a fairytale world. Don’t miss the Enchanted Palace, the Dwarfs’ House, and The Lake with Waterlilies. There’s something for everyone inside Bears’ Cave, a unique and family-friendly attraction in Romania. Don’t miss it if you’re a biology or geology-buff!